It is a glorious spring day, not a breath of wind to ruffle the placid expanse of water that stretches out in front of me. By the breakwater there is a gathering of little black cormorants paddling alongside the rocky barrier. 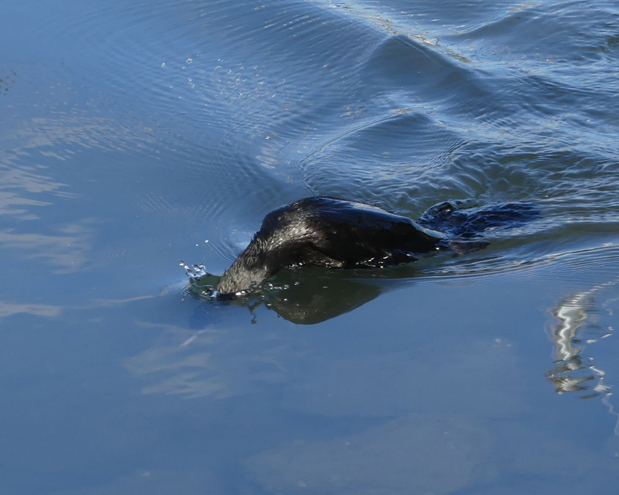 Every few minutes, one of the birds dives and swims out into the deeper water to hunt. 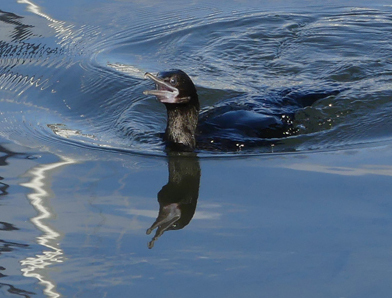 Cormorants use both wings and feet to navigate underwater. Their aquatic speed and agility combined with specially adapted eyes and serrated beaks make them formidable fishers. I am walking around the Patawolonga from Glenelg towards the first road and foot-bridge. This man-made lake extends between Glenelg and West beach for around 1.5 kilometres and serves as a flood mitigation system. The area also incorporates a berths for larger boats and lock that lead on to Holdfast Shores Marina an upmarket, shopping, restaurant and residential complex. When I reach the bridge there is a spectacular view back down the lake towards Glenelg that takes in the old replica ship The Buffalo which brought some of South Australia’s first colonists and governor ashore. The extensive grassed areas that run alongside ‘The Pat’ are shaded by eucalypts and Norfolk pines which attract a wide range of common urban birds. 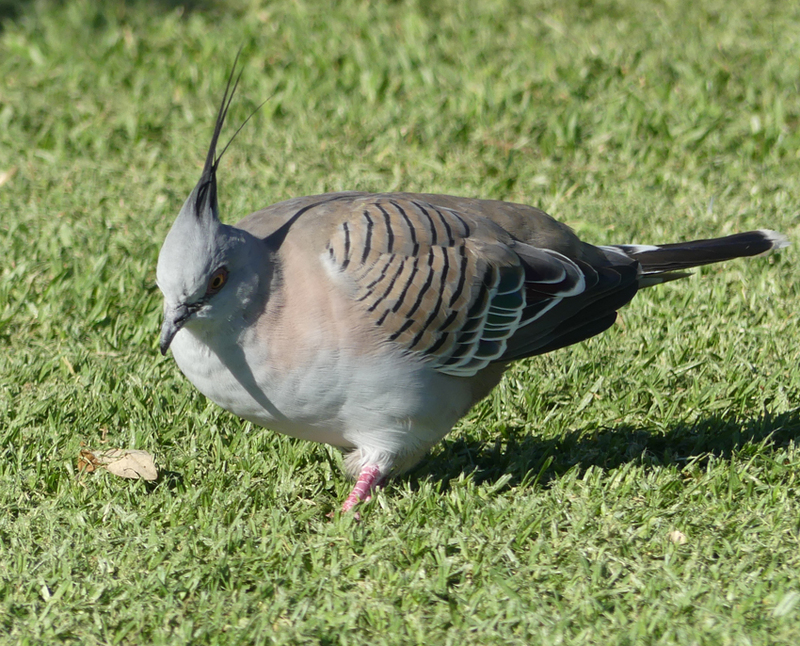 Today there are numerous crested pigeons foraging in the grass as well as wagtails and swallows demonstrating their sophisticated aerial acrobatics as they hunt for insects nearer the water. 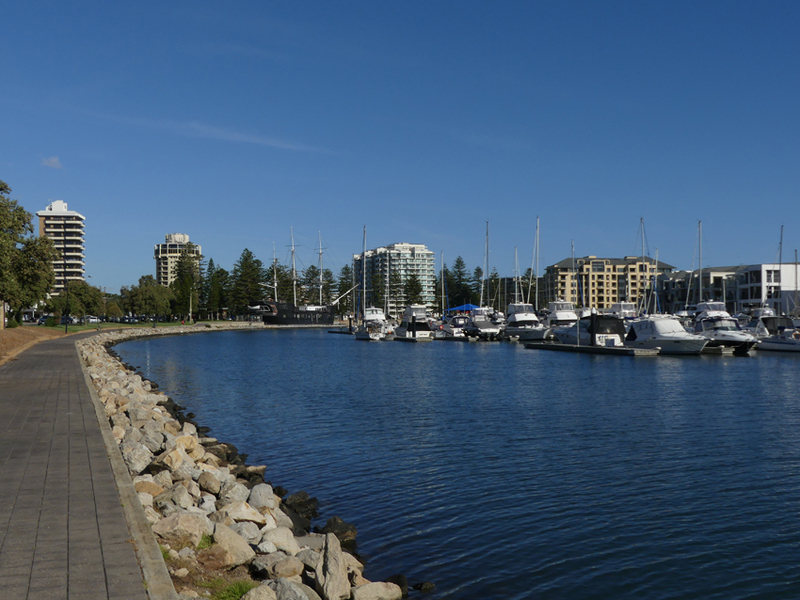 From the western end of the bridge I walk back towards Glenelg along the edge of the marina. There are several fishermen casting for bream and I stop and chat with them. Apparently a small pod of dolphins has been in the area over the last few days. Not great for fishing but wonderful for those who simply enjoy the wildlife. 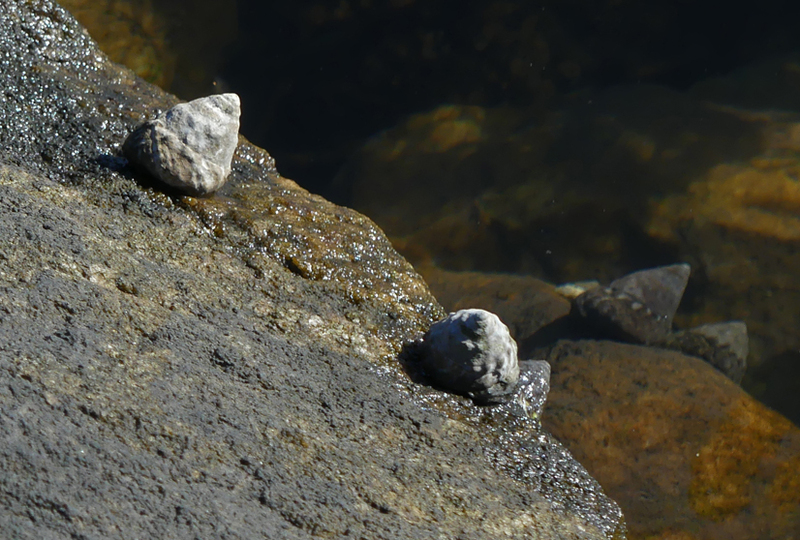 The rocks along this part of the Patawolonga have a healthy cover of small molluscs and occasionally I catch sight of small schools of baitfish in the shallows. The path stops near a dive shop and I have to walk around the lake past neatly kept houses. When I reach the lock I can see dozens of swallows hawking insects. 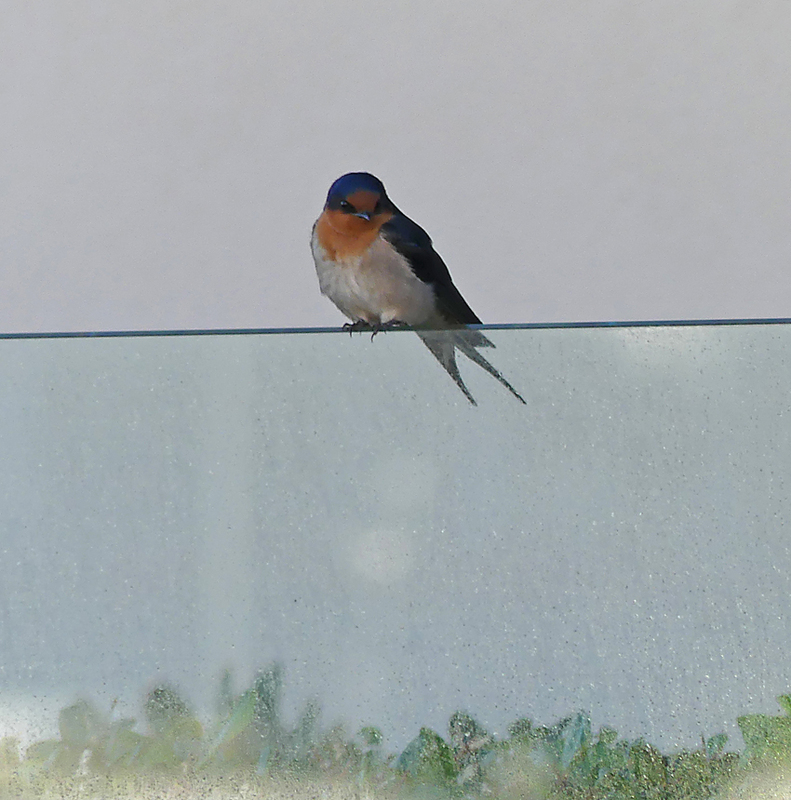 A few have settled on the glass and steel partitions that enclose some of the nearby units to rest for few minutes before resuming their hunting sorties. The lock is not being used by any of the local boaties and I am able to walk across to finish my circuit of the lake, watched intently by yet another cormorant. 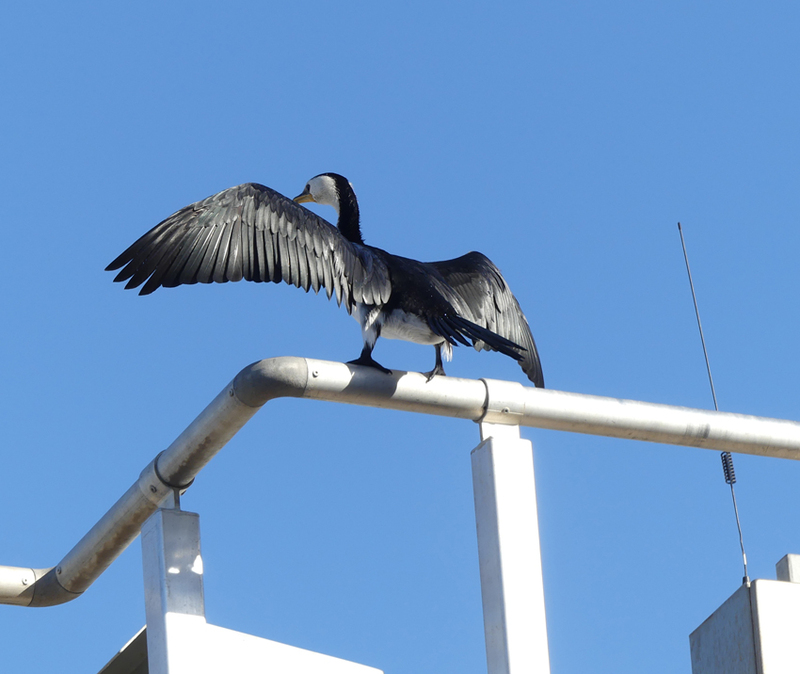 This time it is a pied cormorant, perched high on a railing. The bird is drying its wings before it too dives back into the water for lunch while I head for nearby Jetty Road with similar intent. This is an easy walk which is quite suitable for families and seniors with public toilets, barbecues, parking and other facilities nearby. Sounds a great idea. Good luck with it.